The statistic shows the quarterly revenue of LG Electronics from 2014 to 2018, broken down by business segment. 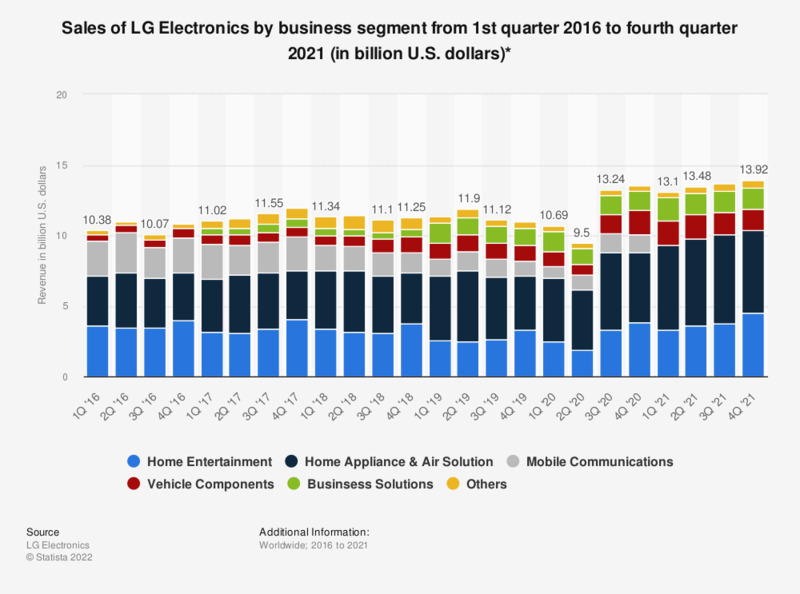 In the fourth quarter of 2018, LG Electronic's revenue from its home entertainment segment amounted to about 4.08 billion U.S. dollars. *In 2015 and 2018, LG Electronics made changes to the breakdown of its business segments shown in their financial releases.